eNovates is a rapidly growing technology company that is driven by mobility and sustainability. 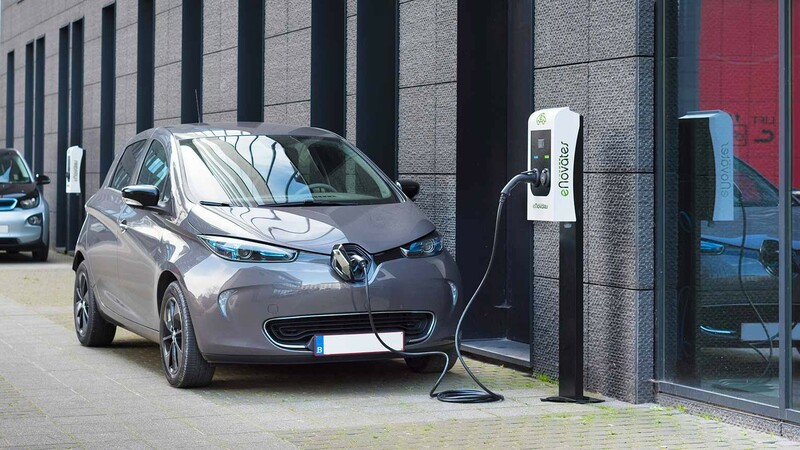 It was created in 2010 as a think-tank in a business club and focused, right from the start, on developing and producing charging systems and management software to support the electric mobility ecosystem. 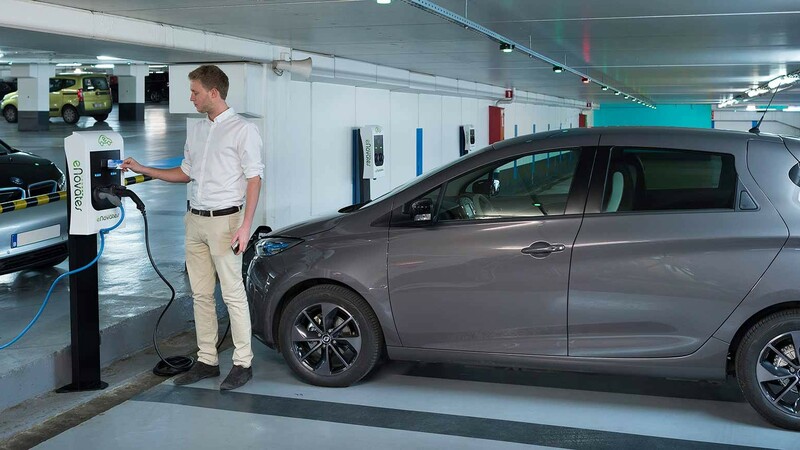 Electric vehicles charged with the necessary energy, always and everywhere, thanks to the adaptive charging systems – that’s the reason the company is created and it’s the reason for our current rapid expansion within Europe. Our current product portfolio spans from fully modular AC charging stations for every need, to DC-home chargers and a full suite of smart charging software. A wide range of options are available, like RFID identification and precise metering. This makes the wallbox the perfect solution for domestic, and professional use. The dual wallbox series is the perfect solution for parking facilities, outdoor or underground, commercial or residential. Wherever 2 parking spots need to be serviced, the Dual Wallbox Series is the best candidate. This spacesaver is one of our most popular products for the professional market. The product and installation costs are substantially lower for a dual wallbox in comparison with a single socket solution. Our attractive and robust charging pillar with two sockets has an anti-graffiti powder-coated, plate steel casing. The sloping top ensures that dirt is removed easily and the triangular shape means the charging cables naturally lie in the direction of the car to be charged. The beautifully designed interior, with nothing but top quality components, is the envy of many technology-lovers. 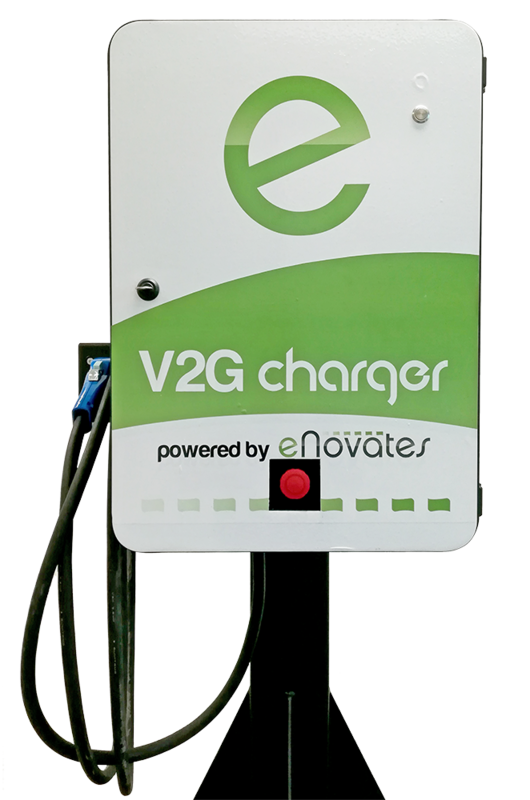 Our constant drive for innovation and customer satisfaction led us towards the most recent eNovates development: a bidirectional ‘Vehicle to Grid’ DC charger. This cutting edge technology is a perfect fit for even the most demanding business case in the energy world. Fast acting, affordable, lightweight and extremely efficient, this product has the potential to disrupt the way we charge vehicles today. This customer wants to serve as many electrical vehicles as possible with an – often limited – grid connection. With increasing charge speeds, and an exponentially greater penetration of EV’s and PHEV’s on our roads, this complication needs an intelligent, fast and reliable solution. eNovates is the perfect partner to tackle these contemporary problems with future proof solutions. 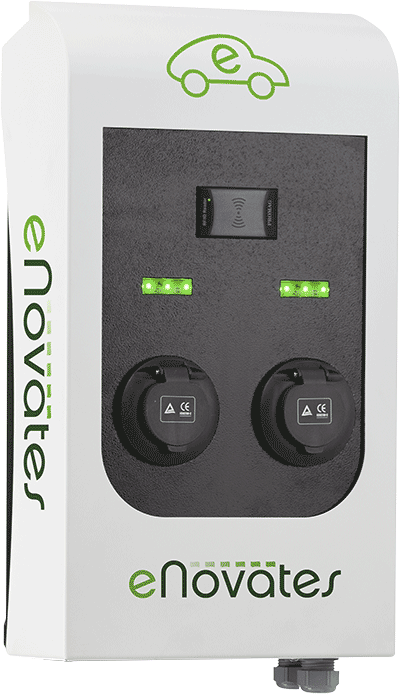 The eNovates Smart Charging suite comes in two flavors, each with it’s own functionality and target customers: Smart Charging and Dynamic Charge Controlling. 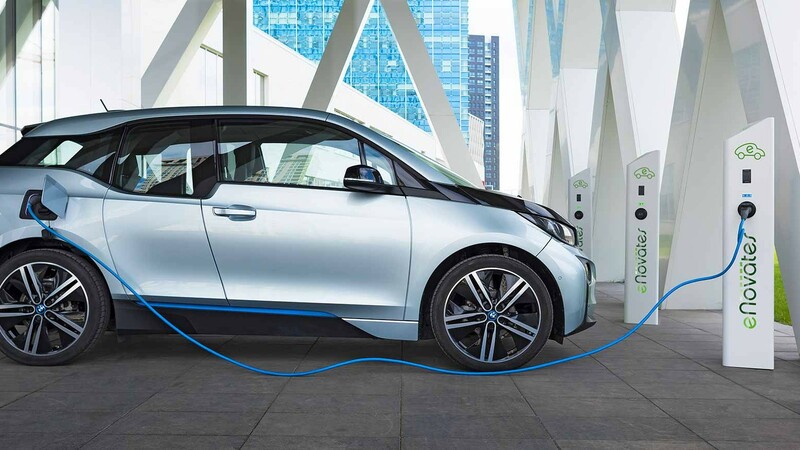 The Smart Charging algorithm is a clever load balancing algorithm that distributes the available power between a predefined group of charger. The available current is distributed evenly among plugged in EV’s and PHEV’s. 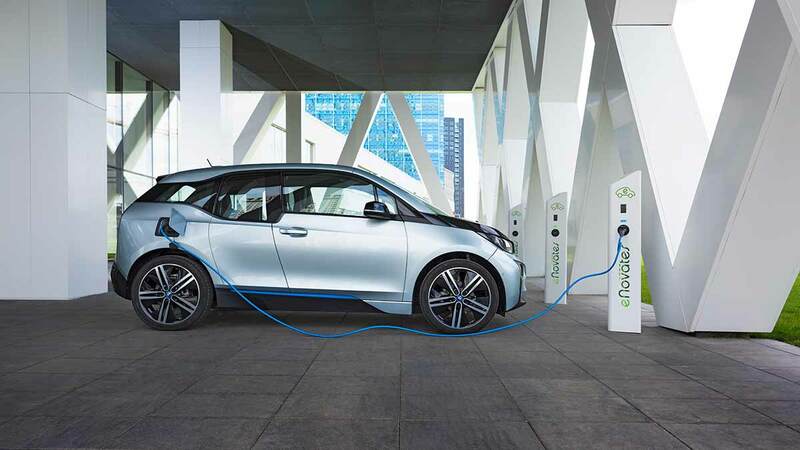 Each phase is processed independently to create a charging plaza with the highest efficiency on the market. This is the go-to solution for parking operators. This algorithm is based on Smart Charging, but takes the power consumption from a house or a building into account. The power consumption of the entire building is precisely measured, per phase, and the remaining available power is distributed towards the chargers. 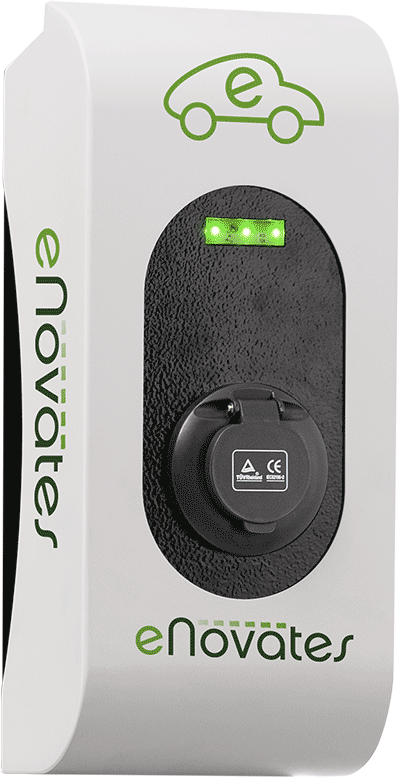 eNovates’s Dynamic Charge Controller is the perfect solution for real estate managers who have office or residential buildings in their portfolio. The solution can be retrofitted on older buildings or it can be integrated from the moment the electrical installation is build.